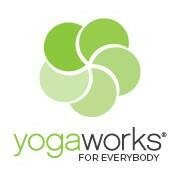 There are no upcoming “Vinyasa Flow 2-3” classes on this day. Wonderful instructor! Loved this class! Vivica is a fantastic teacher. I thoroughly enjoyed her class. Class was awesome but very crowded, which only became a problem when there weren’t any yoga mats left to borrow. Come 10 minutes early to get a spot and bring a mat and it’s a great class. Ellen is a very skilled teacher who takes movements that I have been doing for years and makes them better. Highly recommend her class. Vivica is absolutely incredible!! Highly recommend. Great instruction but a very crowded class today. This instructor created a class that was challenging and fun!